I had one very "Nashville" night a couple of weeks ago - arrived at a converted warehouse, enjoyed yummy drinks, tasted amazing food that I had never even thought of before, made friends with strangers, loved every minute of it. 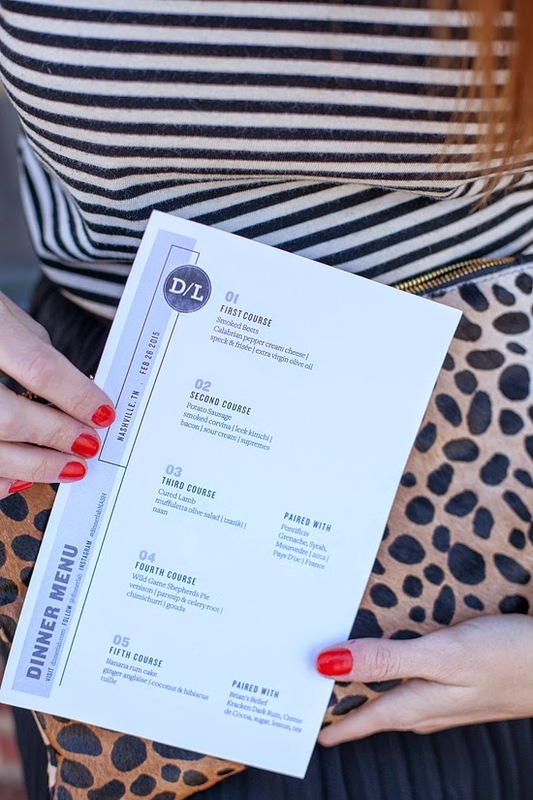 I was thrilled to have been invited to try out Dinner Lab & am obsessed with their concept. Dinner Lab invites chefs to your town, hosts adventurous dinners in amazing locations, and without any frills or fuss of your traditional stuffy "fine dining". I loved that the room was filled with interesting locals, most of them around our age, all enjoying such a unique social dining experience. Looking for something like this? 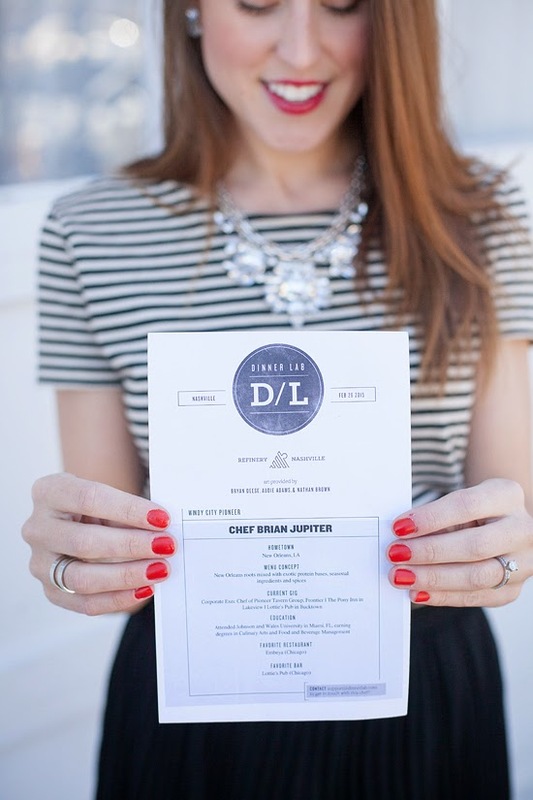 Dinner Lab is now in 30 cities around the US - check out if it is in your town here. Our Nashville Dinner Lab experience featured Chef Brian Jupiter from Frontier Chicago. It was so fun to know that we were trying prototype recipes, giving input to the chef directly. The dinner lab sounds like a really cool experience! I am LOVING this outfit too! That skirt!! That sounds so cool! And this is such a stunning outfit! I LOVE this idea! And I'm heading on over to see if they're in Louisville, and if not looks like I'm making a trip to Nashville for the next go around. Fantastic maxi dress and very unique necklace. 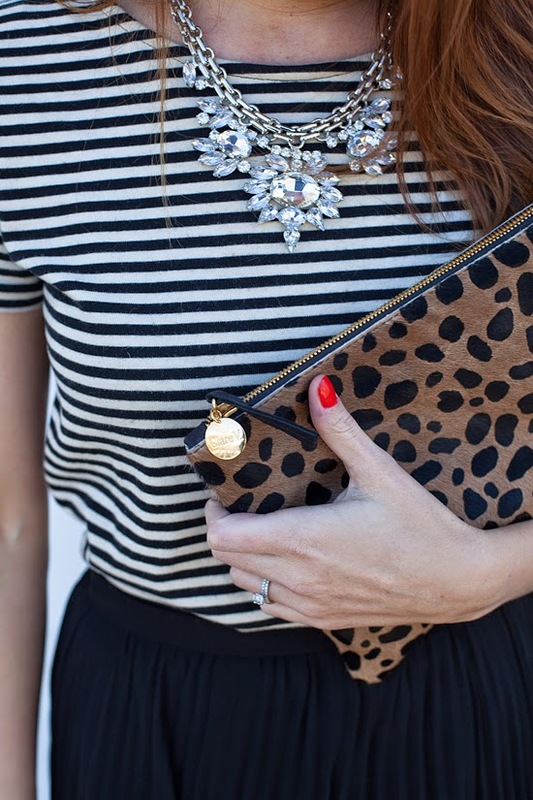 Love the stripes and leo combo! I love this outfit! 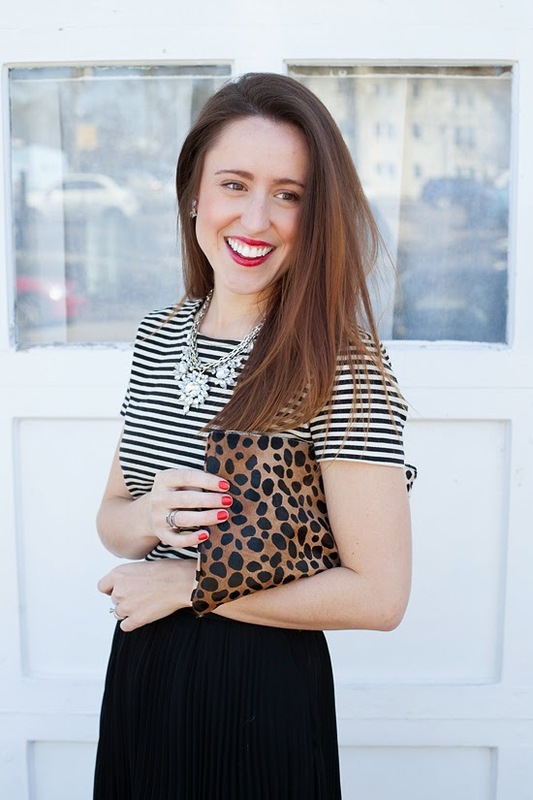 The skirt is so flowy and classic, and I love the striped top you added. Really creates a perfect dressy/casual look. That sounds like such a cool experience. I love doing random nights like that. The outfit is also really perfect. The skirt is so pretty. I would probably be flouncing around all night in that! Such a lovely look! Gorgeous skirt! !